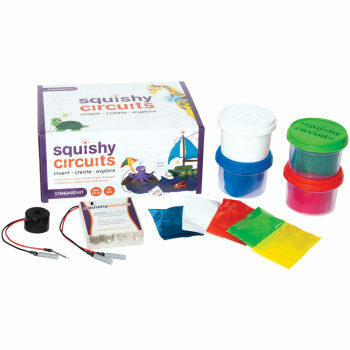 Squishy Circuits Deluxe Kit, Science Fair Ideas: Educational Innovations, Inc. 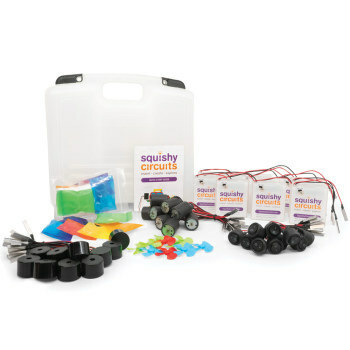 The deluxe kit is our most complete Squishy Circuits kit. 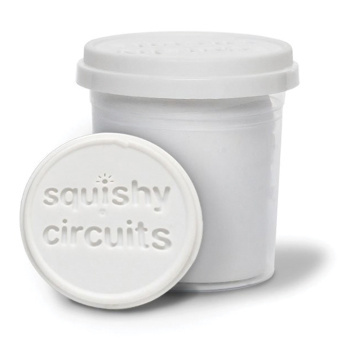 It comes with more items than the standard kit and comes with pre-made doughs so you can start circuit building right away! 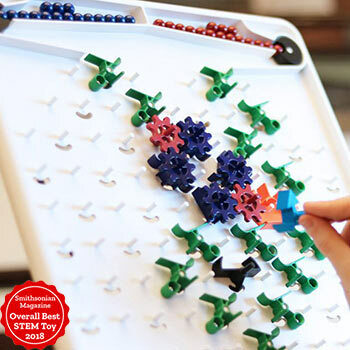 The deluxe kit is our most complete Squishy Circuits kit. 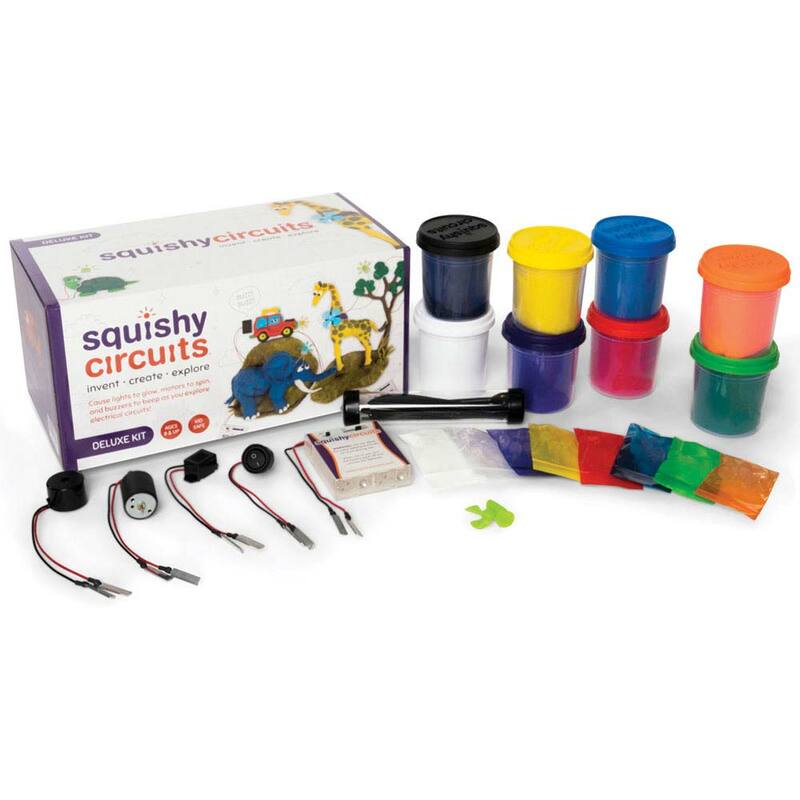 It comes with more items than the standard kit and comes with pre-made doughs so you can start circuit building right away! This kit also includes a deluxe battery holder which has a knob that allows your lights to blink and buzzers to beep at different speeds.